Although the exact date of the construction of the garden is not clear, historical evidence suggests it was constructed during the Seljuk Dynasty on the orders of the celebrated Seljuk monarch Sanjar as many other gardens were planted during his reign. 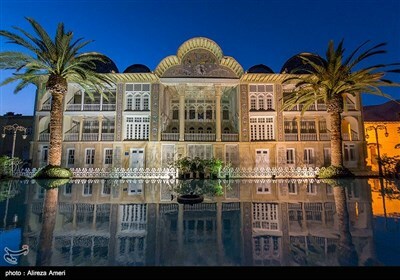 Like many other historic monuments in the southern city of Shiraz, it was restored and repaired by the Zand kings (1750-1794). During the late Zand Dynasty, the garden was owned by Qashqai tribal chiefs. 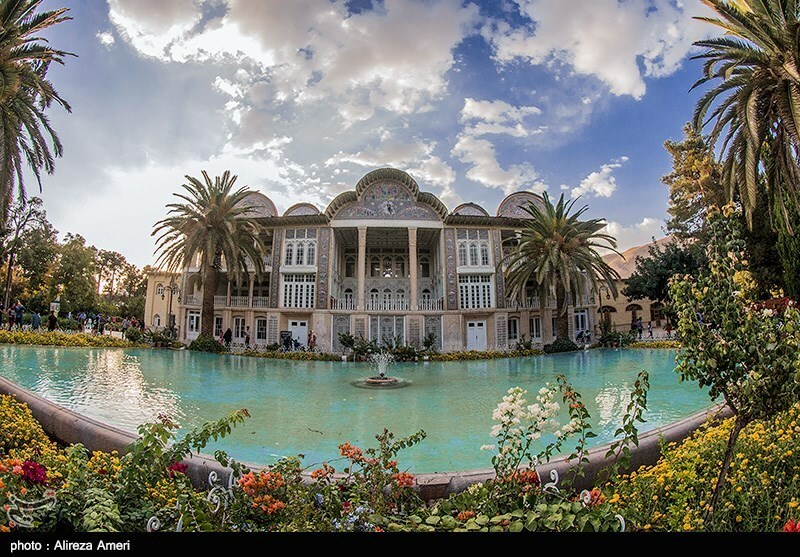 A Qashqai tribal chief, Mohammad Qoli Khan, ordered the construction of the original mansion in the early eighteenth century, planting the garden with different trees including cypress, pine, orange and persimmon trees. 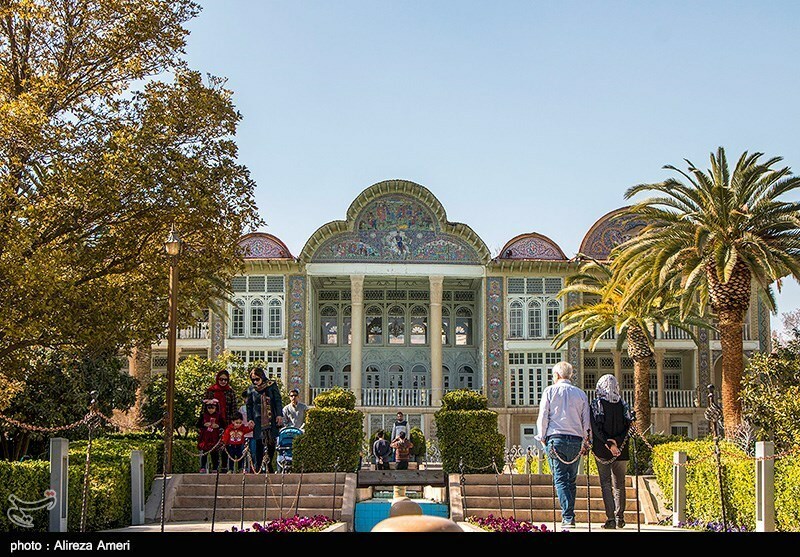 During the reign of King Nasser ed-din of the Qajar Dynasty, Mirza Hassan Ali Khan Nasir-al Mulk bought the gardens from the Qashqai tribes and constructed the present pavilion which was designed by a famous Shirazi architect, Mohammad Hassan. The decoration of the pavilion was completed by Hassan Ali Khan’s son Abol Qassem Khan who inherited the garden after his father. 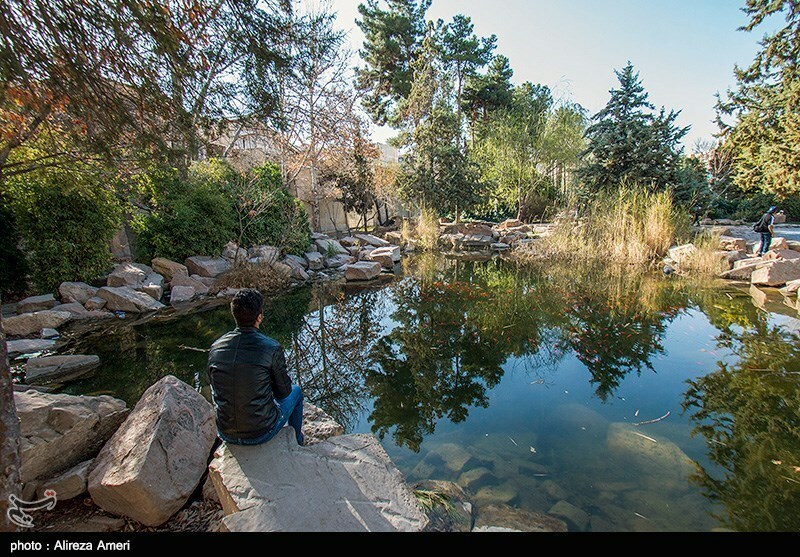 The garden finally went to Abol Qassem Khan’s son Abdullah Qavami who sold it to Qashqai tribes once again. 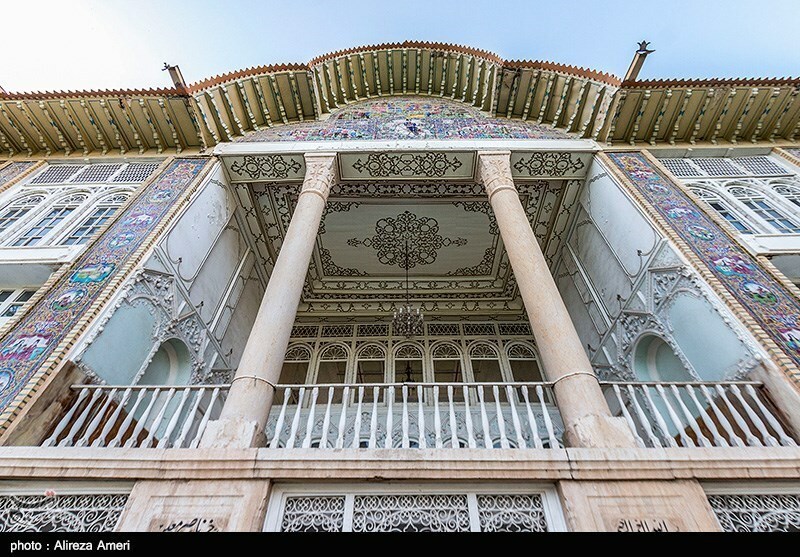 The beautiful three-story pavilion of the garden was constructed based on Safavid and Qajar style of architecture. The lower story of the mansion has an impluvium especially designed for relaxation during the hot days of summer. The ceiling of this structure is beautifully adorned with colorful tiles. A small stream also passes through it, connecting to a large pool in front of the building. The middle storey has a large veranda erected on two pillars behind which stands a magnificent hall. On the two sides of the hall there are two corridors each having 4 rooms and two small terraces. The front sides of the pillars are decorated with tiles showing the images of horsemen and flowers. The upper story consists of a large hall whose windows open to the main veranda. It is also surrounded by two corridors leading to two terraces. On the entablature of the building there are three arched (semi-circular, crescentic) pediments ornamented with tile work. The middle pediment, being larger than the other two, shows Nasser ed-din Shah on the back of a white horse. 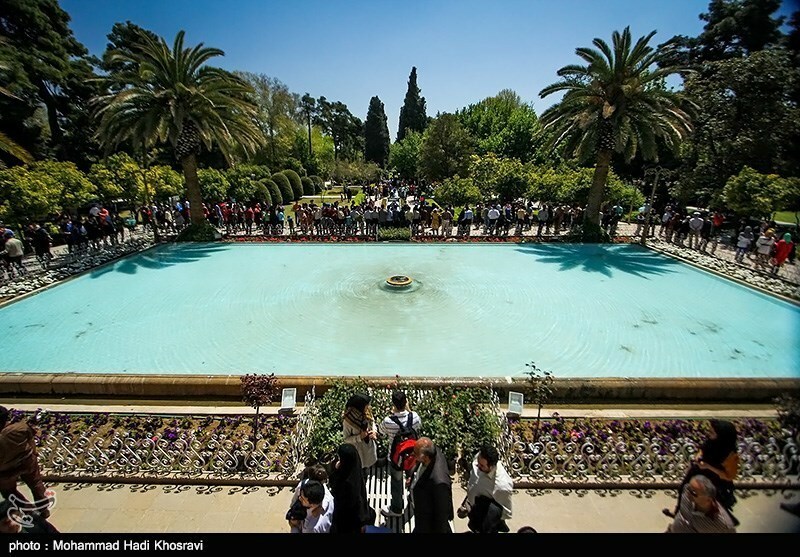 Around this picture, some scenes based on storied from the works of Ferdowsi and Nezami (two famous poets) can be seen. One of the small pediments represents an image of Darius the Great (the founder of the Achaemenid Dynasty) as represented in Persepolis monuments. And finally the third pediment illustrates a deer being hunted by a panther. 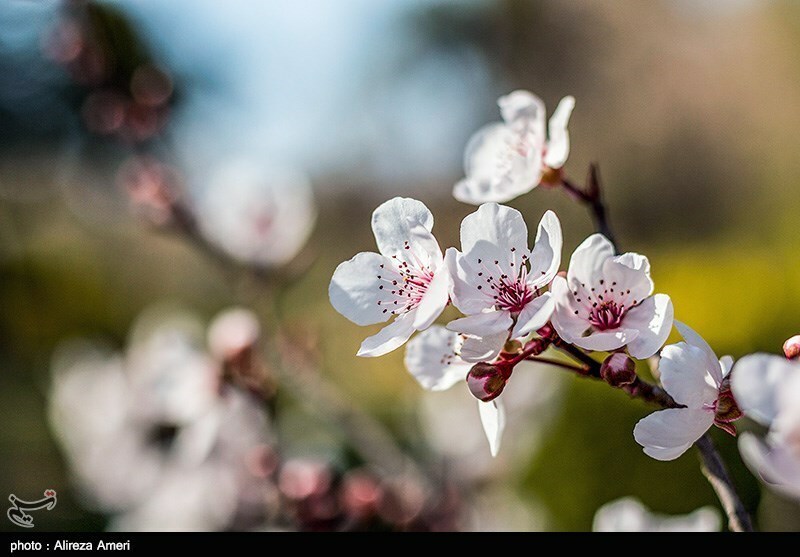 The garden with its beautiful flowers, refreshing air, tall cypresses (a stately, beautiful cypress tree there known as sarv-e naz which is said to go back to 3000 years ago) and fragrant myrtles is a major tourist destination especially in the spring. 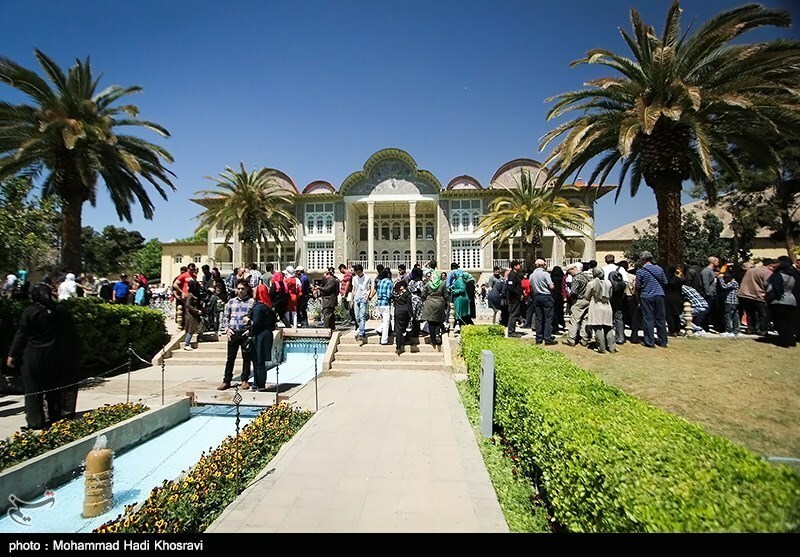 Now a property of Shiraz University, it has been turned into a botanical garden and is open to the public as a museum. The mansion has also been assigned to the Faculty of Law of the university. It has been named after a legendary garden called Eram in southern Arabia, built by order of Shaddad, an Arab king, to compete with Paradise.